Over the past two years I’ve worked for a news station as a news reporter. That might sound glamorous to some, but those in the industry know it is no easy feat. I have nothing but the utmost respect for other reporters I see on television, going to and from different places and events throughout the day, and scrambling back to the station to get every story completed and done on time for the news to air. The past two years seem like a blur, but it was the best thing that could have happened to me. I have begun to find my way on the career path that I want for myself. As for Therapy Center, this amazing opportunity could not have come to me at a better time. I have only been working for the company for a month, but I am instantly so impressed by the continued growth of the company, the quality of care each and every one of the therapists provide, and most of all the people in the company. I absolutely love the people I am working with! I have spent some time with each mentor in the company, where they have showed me their facilities and our therapists hard at work. It’s so inspiring to see people so passionate about what they do for a living. These therapists have built relationships with every single one of their patients, they know them by a first name basis, and they build trust with the patients they’re working with. I feel like that, among many, is what sets Therapy Center apart from the rest, they care. So starting the company with no background in healthcare, besides the medical “feel good” story I would do with a hospital every once in a while, has had its challenges. In the same breath, I have found similarities. Both jobs center on dealing with the public, building relationships with people, and establishing a certain level of trust. Also, while marketing for Therapy Center I will still be informing interested parties on certain topics, which will now be focused on the amazing therapy services provided by our company. My mind is kind of blown by how much information needs to be absorbed and remembered, especially with it changing constantly. Going with each mentor around their facilities and hearing them talk about the same things has helped me tremendously start to pick up on the really important information I will need to pass on. As for the rest, I’ll leave that up to the experts! I am extremely driven and eager to find my value in Therapy Center. 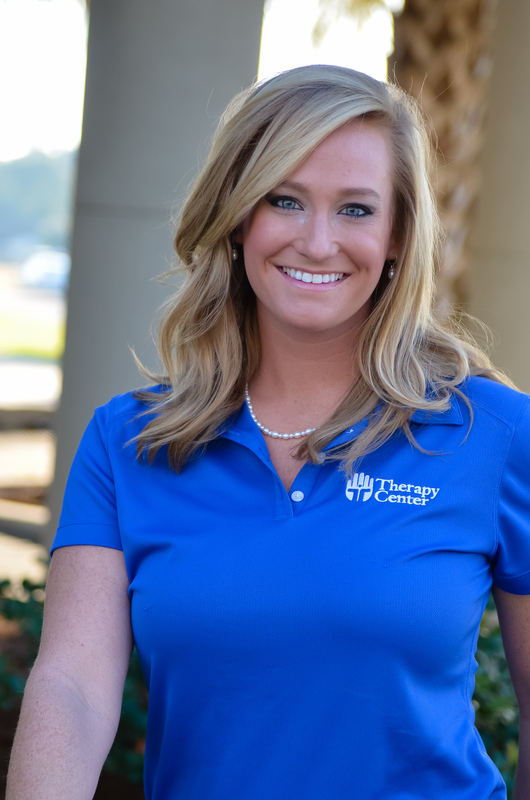 I can’t wait to get the ball rolling and start to meet with people out in the community to tell them about the amazing things Therapy Center has to offer! I have goals for myself in this new venture. I want to continue learning, add ideas to the creative marketing department, and most of all make a difference. I want to make a difference to the patients and get them the best care out there, and I want to make a difference in Therapy Center. To learn more about our amazing team, visit our Team Member News section of our blog.